After James Mastricola Upper Elementary School relocated eight classrooms of students and spent $600,000 last year, bats returned to the Merrimack, New Hampshire, school for the second time. "I didn't feel comfortable sending him to school yesterday until we got more information," said Missy Warrington, a parent at the school. Warrington wanted more information on what has been flying around her son's fifth grade classroom. "We've had a couple bats in the building," said Marsha McGill, principal of the elementary school. "We had one in the classroom the other day." McGill said students evacuated and the rabies-carrying rodent has been captured, but some parents are still concerned about sending their kids back to the school. "I was a bit hesitant to send him again today, but we did because he wanted to go back to school, for one thing," Warrington said. "We talked about what he'd do if there was a bat there in the room, and being safe." This is the second time the school has had a problem with bats. The rodents were first found hibernating in the school's walls back in November. "Everything inside was cleaned and prepared for students to go back into their classrooms in April," McGill said. Now, New Hampshire Critter Control will use pipes to solve the problem for good. 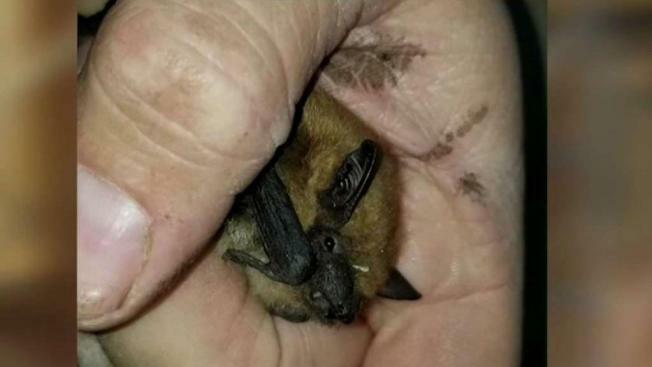 "We systematically seal up the exterior of the building and we install special one way valves that allow the bats to exit the structure but not re enter," said Jessie Fraser of Critter Conrol.